Posted April 15, 2019 by Seán Kinane & filed under Environment, News and Public Affairs. The Florida Legislature is considering several bills that impact the environment of the Sunshine State. 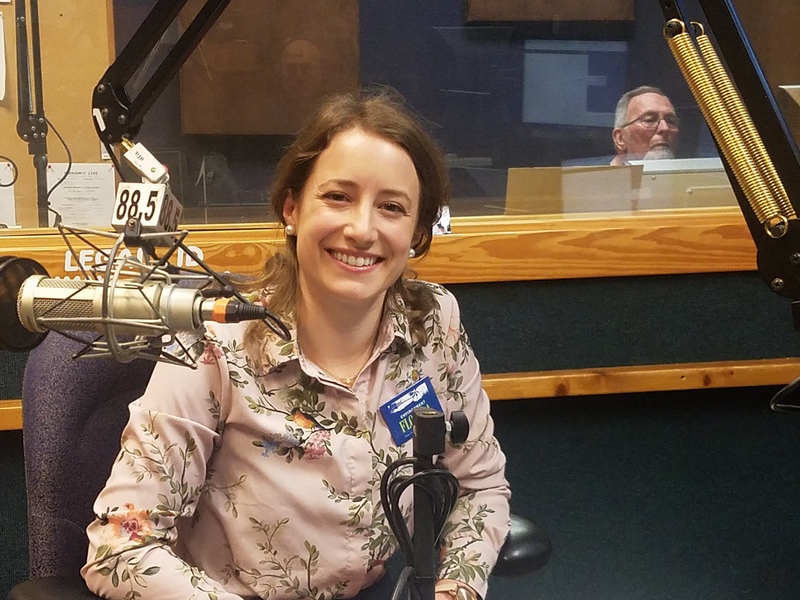 On WMNF’s MidPoint we talked about many of them with Jennifer Rubiello, the state director of Environment Florida. One bill deals with providing schools with filters to remove lead from the drinking water of older schools. It’s sponsored by Tampa Democratic Senator Janet Cruz. The Florida Legislature is also considering placing a statewide ban on some types of fracking. But Rubiello notes that one type of fracking — matrix acidizing, which would be especially damaging to Florida’s limestone geology — is not included in the ban. The Legislature might also pass what’s called a “memorial” to state its opposition to oil and gas drilling off the coasts of Florida. But a federal drilling plan is more likely with last week’s Senate confirmation by new Interior Department Secretary David Bernhardt. On Thursday, St. Petersburg City Council will vote on what’s called its Integrated Sustainability Action Plan. It’s aim is to reduce greenhouse gas emissions by 20% by 2020 & strive for 100% clean energy by 2035. We also talked about local bans on single-use plastics like bags and straws and about attempts by the Florida Legislature to pre-empt local control. We listened to a Florida Public Radio story about proposed toll roads through wild Florida. Lynn Hatter reported that Florida Senate President Bill Galvano wants to see three major highways extended to more rural areas of the state in an effort to drive investment into those areas. But , as the plan gains traction it’s unclear whether those roads will ever be built. At the beginning of the show we played two comments left by listeners about last week’s show. Our guest was the new CEO of HART, the Hillsborough Area Regional Transit Authority.